Why: You have been itching to try a new local brewery and have great Homebrew to share! This Saturday, we will have our meeting at Progress Brewing in South El Monte. Thanks to Gayle for securing the location and Kevin from Progress for hosting our meeting, and letting us arrive one hour before they open to the public. They have offered a guided tour so arrive on time if you want to check out their Brew System. As we are nearing the end of the year,(it goes so fast!) we have to start planning for new board members to join the Yeastside Team. If you are interested in a spot on the board, or have any questions, please talk to me at the meeting. More updates to come! We also have our 2nd Annual Cider Pressing in October organized by our previous president Jerl. We are returning to Snow Line Orchards in Oak Glen on October 25th from 11a – 5p. It is a great event and an excellent way to expand your brewing repertoire. Please RSVP to Jerl Leutz by Sunday, September 28 to reserve your spot. We had a great Pub Crawl a few weeks back, and I just wanted to thank Sally for organizing the event. We had about 20 people, and had a great time checking out some great Craft Beer Bars in Hollywood. I would love to have another Pub Crawl in a few months. There was a cool article that had a LA Metro Rail Map with the best bar within walking distance. Lets pick a color and see where it takes us! Please reach out to any Board members if you have any ideas. 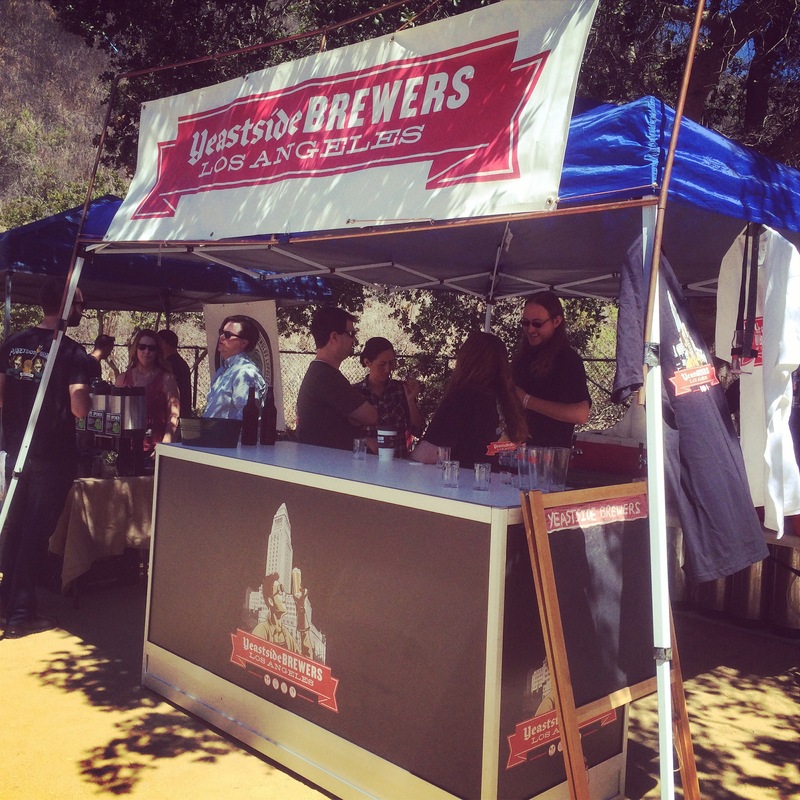 Last weekend, we had the privilege of pouring at the Ventura Beer Experience, an event that raised $6000 for underprivileged kids. Thanks to Sarah and Matt for inviting us to the event as they had previously attended as Transplants Brewing. I have to say we had some of the best beers pouring at the event and thanks to our wonderful table and sign, one of the most professional looking booths at the event. Thanks to Jeremy, Cori, Victor, Sarah, Matt and Oscar for providing kegs and participating. We look forward to attending this event again and again! Here is the current point tally for Brewer of the Year, counting ribbons won in the LA County Fair. Pacific Brewers Cup was judged on Sept 6th, but results are not posted yet as they still have Best of Show to finish. We’ll post winners from our club, a link to full results, and B.O.Y. total updates when it goes public. SoCal Regional comp is now set for Oct. 25th, and entries are due Sunday, Oct. 12th (Eagle Rock shop closes at 4pm). Cost is $6/entry, and only two bottles are required. CA State Homebrew comp is due Oct. 11th, and you will need to ship entries up to Concord or Berkley, unless anyone in the club is willing to volunteer to drive them up. Cost is $8/entry, and requires three bottles. Looking for even more comps to enter? Check the AHA website to get an overload of choices! Enter those beers under Yeastside Brewers! October’s meeting will be on the announced at the meeting! I look forward to seeing you all this weekend. Happy Brewing to you all, and see you on Saturday!